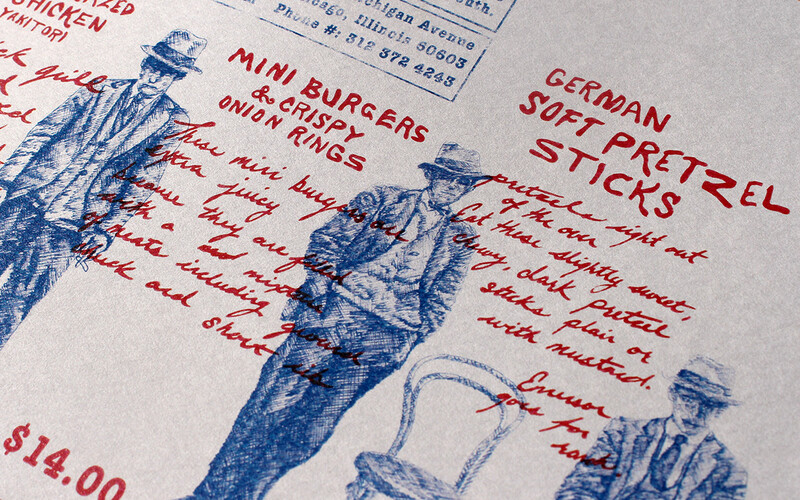 Create a restaurant brand identity and build a conceptual concept around a theme or time period. 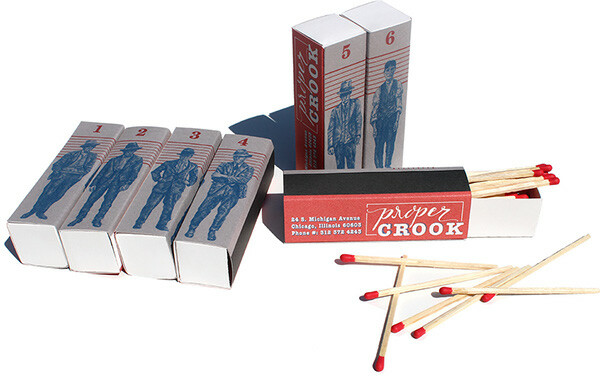 Proper Crook is a fictional community kitchen that serves as a restaurant and bar inspired by the Chicago Noir Era. The restaurant features a seasonal menu and is open for late lunch and dinner, extending into the late night bar scene. 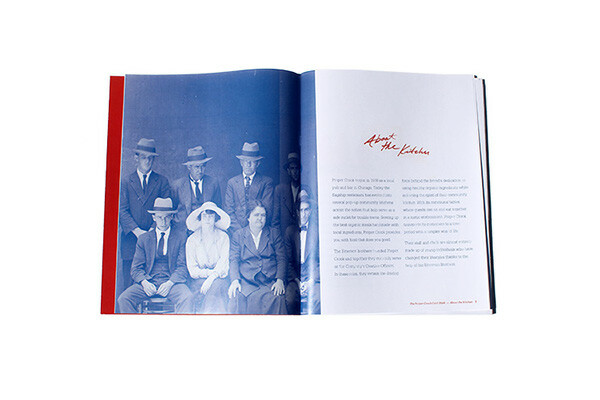 with cross–hatched illustrations of proper crooks to highlight the vintage metropolitan mob lifestyle. 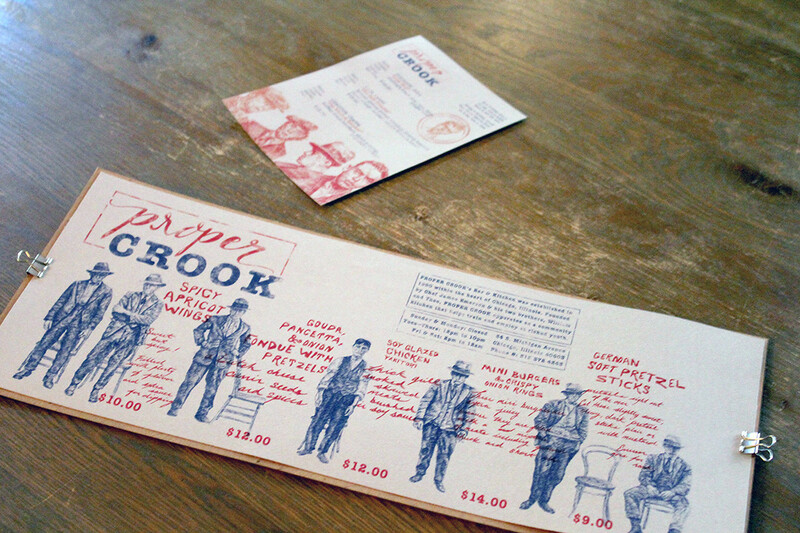 The menu was constructed horizontally to portray a line up of the Proper Crook weekly specials. 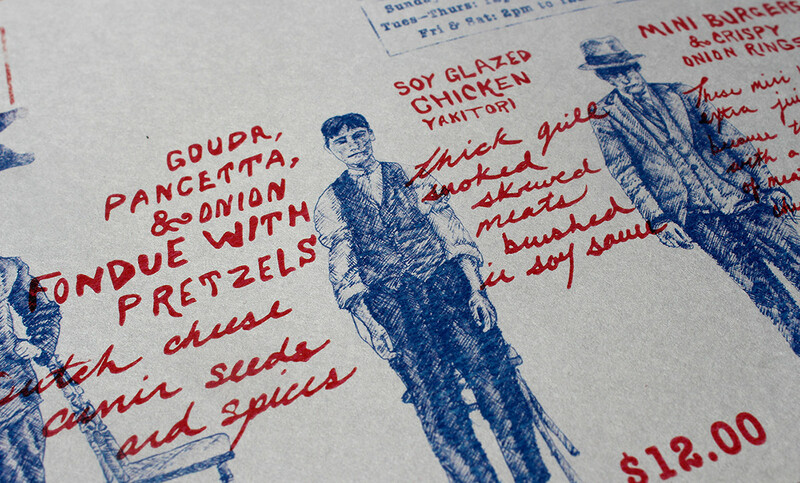 Each menu item is communicated in a hand drawn-lettering, described in hand-drawn script, and is attached to its own illustration of a crook to mimic time period's chalk type and rap sheet information that came from a traditional line-up. of our proper crooks and is formatted to look like old vintage rap sheet. effect. 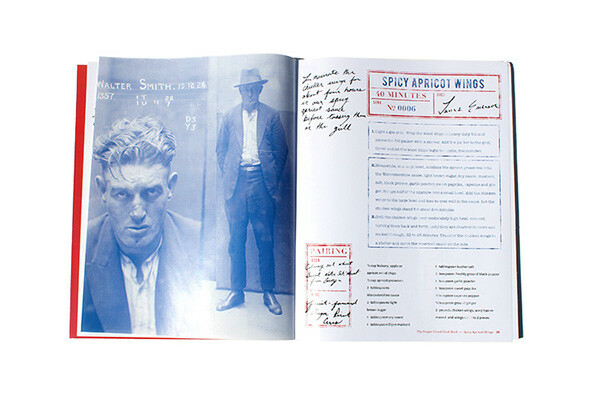 The cook book also features hand scripted notes from each chef for the recipe being portrayed. 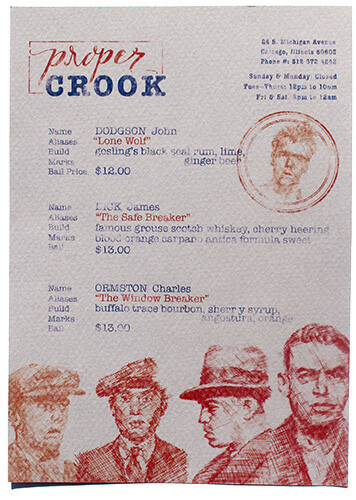 two crooks and information about the restaurant. 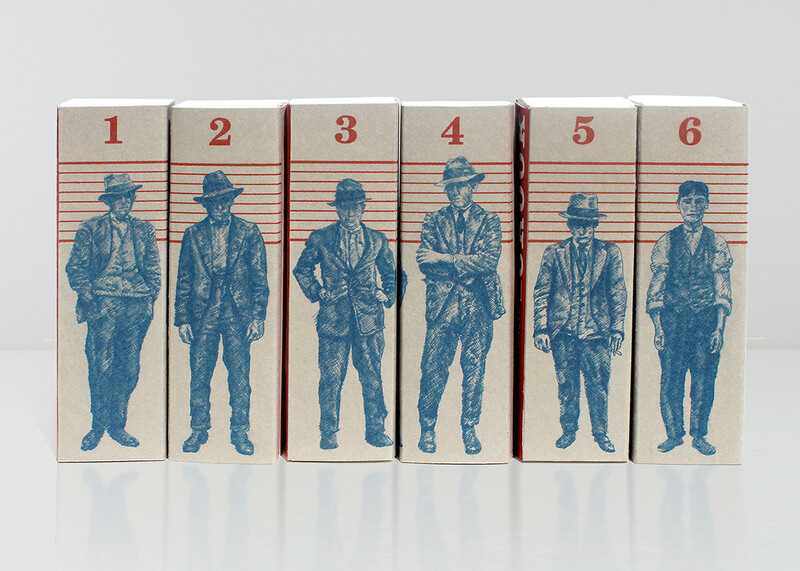 When put together a line-up of our Proper Crooks is formed.